Departure from the airport to Peloponnese. First stop at the Isthmus of Corinth. It is a narrow strip of land of 6 kilometers length, connecting Central Greece with Peloponnese. We will have free time for photos and then we will depart for Ancient Nemea. Ancient Nemea is a village of the Prefecture of Corinthia. 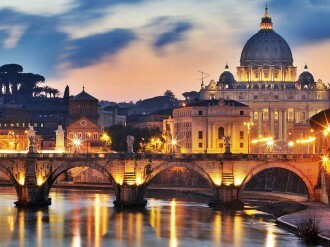 It is a famous ancient city known for the mythical lion that was eventually killed by Hercules. The Nemean lion was a vicious monster in Greek mythology that lived in Nemea. It could not be killed by mortals’ weapons because its golden fur was impervious to attack. Its claws were sharper than mortals’ swords and could cut through any armour. The lion is usually considered to have been the offspring of Typhon and Echidna. The Nemean lion was sent to Nemea in the Peloponnese to terrorize the city. The killing of the lion was the first feat assigned to Hercules by Evrythea. Hercules fought with his hands against the beast and strangled it. The dead body of the Lion was transferred by Gods in Heaven and formed the constellation of Leo. We will see the ruins of the Temple of Nemean Zeus. Only three columns and some parts of the others have been preserved. Then, we depart for the city of Nemea. This area is the largest wine – growing region in Greece, where wines Appellation of Origin of High Quality are produced. There we will have time to taste famous wines. Departure for Mycenae. Mycenae was an ancient city of Argolis and one of the biggest centers of Greek civilization constituting a powerful military fortress. We will visit the Kingdom of Mythical Agamemnon, whom Homer praised in his epics. 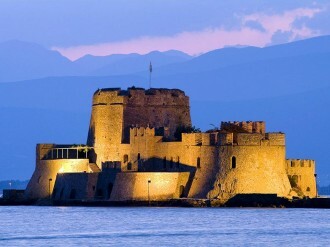 Then, we depart for the first capital of the Greek State during the period 1828-1833, Nafplio. We will have time to wander through the picturesque alleys of the city *. Arrival at our hotel. Dinner and overnight stay. * Our Company will provide, for all travelers, a sightseeing “Train Tour” in Nafplio, without any extra charge. After breakfast we depart for Ancient Olympia. 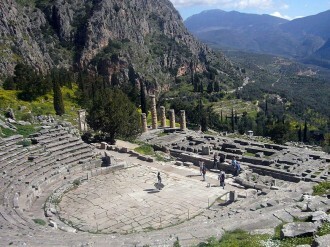 It was an Ancient Greek City, known as the venue of the Olympic Games. In Olympia stood the chryselephantine statue of Zeus, where during Antiquity was one of the 7 wonders of the world. A guided tour will follow in the Archaeological museum and the Stadium. The capacity of the Stadium is about 45.000 spectators. Arrival at our hotel. Dinner and overnight stay. After breakfast, we will visit the famous oak forest “Foloi”. It is a unique forest all over Europe. 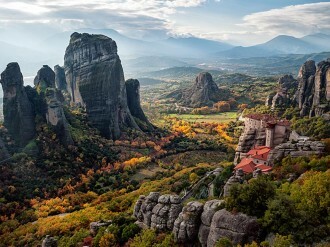 The forest is located in the mountain range of Erymanthos. It amounts about 25.000 acres. One of the labors of Hercules is linked to the Foloi forest. As Hercules went towards mount Erymanthos to dispense the region of the sufferings that the ingenious Erymanthian boar caused, was hosted by the Centaur Pholus who offered him all the best. Meat from hunting and plenty of wine, gift of God of wine, Dionysus. But the wine fragrance was so strong that Centaurs get upset and attacked. Hercules faced them with his deadly arrows. He managed to kill some of the Centaurs and chased the rest of them to Cape Malea. But when he returned, he found his friend Pholus dying. One of the poisoned arrows had accidentally hurt him. Hercules buried his friend and named the region after him. We will have time for our lunch in a traditional tavern. The coastal town of Katakolo is our next stop. Katakolo was built in the late 19th century, in order to serve as a transit station for the raisin export to Europe. After that, we will depart for Ancient Olympia and we will arrive at our hotel. Dinner and overnight stay. After breakfast we start for Stymfalia Lake. 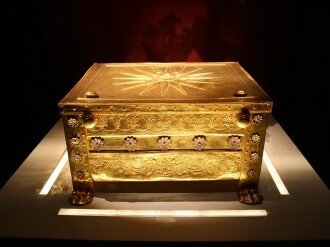 It is located on a plateau at an altitude of 600 meters between Kilini and Oligyros Mountains. Stymfalia Lake is associated with Hercules sixth feat. In this region he encountered Stymfalian Ηens. He managed to lure the hens to emerge from the dense vegetation of the lake, thanks to the rattles from copper that Goddess Athena gave him. Then, with his arrows he hit the hens. We will visit the lake and then we will continue our trip for the village of Feneos. It was an ancient city of Arcadia. It is located in a lush valley and the rivers Olivios and Doxas are crossing it. When these rivers had more water, the plain was not flooded because the waters found their way to the sinks. The legend says that Hercules had dug these sinks in order to banish the waters, which were stagnated there. Then we will visit the artificial lake Doxa that lies at an altitude of 900m. Its construction was completed in the late of 1990. Our next stop will be at the coastal town of Vrachati. Arrival at our hotel. Dinner and overnight stay. After breakfast we depart for a City Tour starting from the Panathenaic Stadium known as Kallimarmaro. In Antiquity, the Stadium was used for Panathenea, the celebration held in honor of Goddess Athena. Free time for photos will be given. With the bus we will be heading for Zappeion Hall, the Greek Parliament and the Tomb of Unknown Soldier, which is a symbolic monument dedicated to the memory of the soldiers who died fighting for their country. Passing along Panepistimiou Street, one of the most known and central streets of Athens, we will end up in the triad of neoclassical buildings: The Library, the Academy and the University. 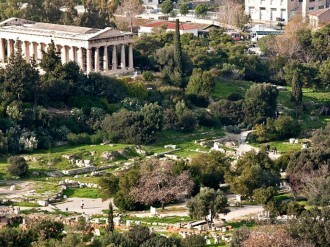 Coming next is our most important visit in the center of Athens, Acropolis. Here we will have the chance to admire magnificent monuments, such as Parthenon, the Temple of Athena Nike, the Erechtheion, the Propilaia, the Ancient Agora, the theatre of Dionysus and the Odeon of Herodes Atticus. 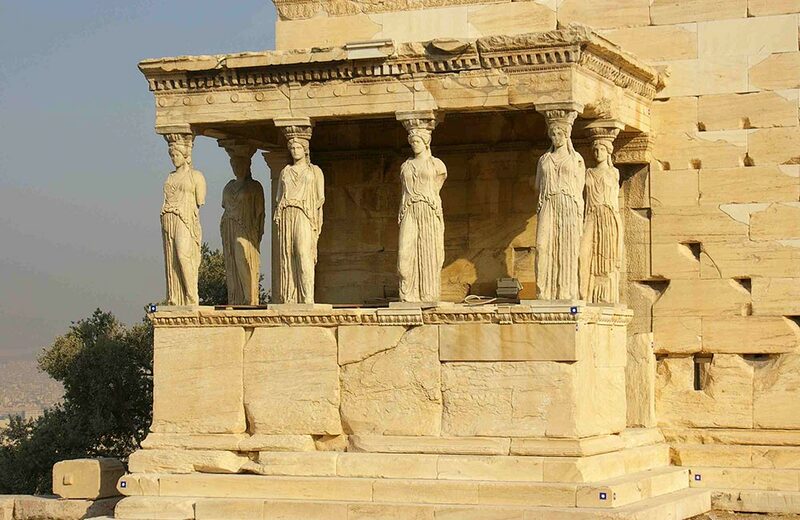 We will have time for a tour in Parthenon Monument, which was built in the 5th century B.C by the architects Ictinus and Kallikrates. A visit in the New Acropolis Museum follows, which mainly includes findings of the archaeological area of Acropolis. The Museum first opened in 2009 and the building was designed by French-Swiss Benar Tschumi. It is considered one of the most beautiful museums. After that, we will have a guided tour followed by free time in the old historical neighborhood of Plaka, a district in the center of Athens, near the Acropolis. In the afternoon we will return to our hotel. Dinner and overnight stay. After breakfast we depart for the airport.